Even though Man of Steel has been a box office success, it has more tha its share of detractors. 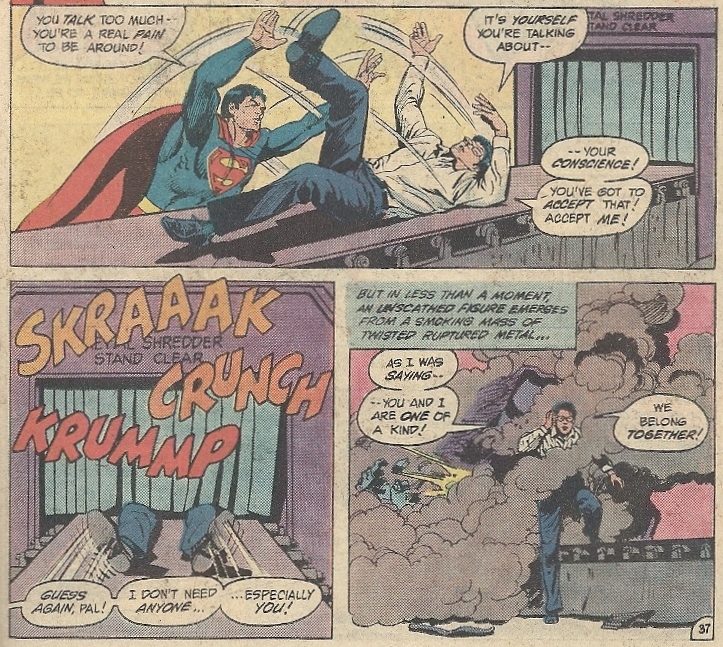 I liked it despite its flaws, though I can see how some people would get hung up on certain aspects of this new Superman’s first days on the job. (That he has a secret identity at the end but roughly 50,000 people have to know who he is at that point is one of them.) To each their own. But the naysaying got me to thinking: these people don’t know truly awful Superman films, as the penumbral glow of Superman: The Movie has largely (and happily) cast in shadow much of what followed. It’s been so long since Hollywood graced us all with a true abortion of a Superman movie (Superman Returns had its lion’s share of problems, but it wasn’t cover your face heinous), I thought it might be a good idea to look at the two awful entries in the old Christopher Reeve series, at the same time going through the comic book adaptations. The comics are especially fascinating because they have the strange distinction of re-adapting comic book properties back into comic book form, making them a bit like reading a novelization of Peter Jackson’s Lord of the Rings trilogy. 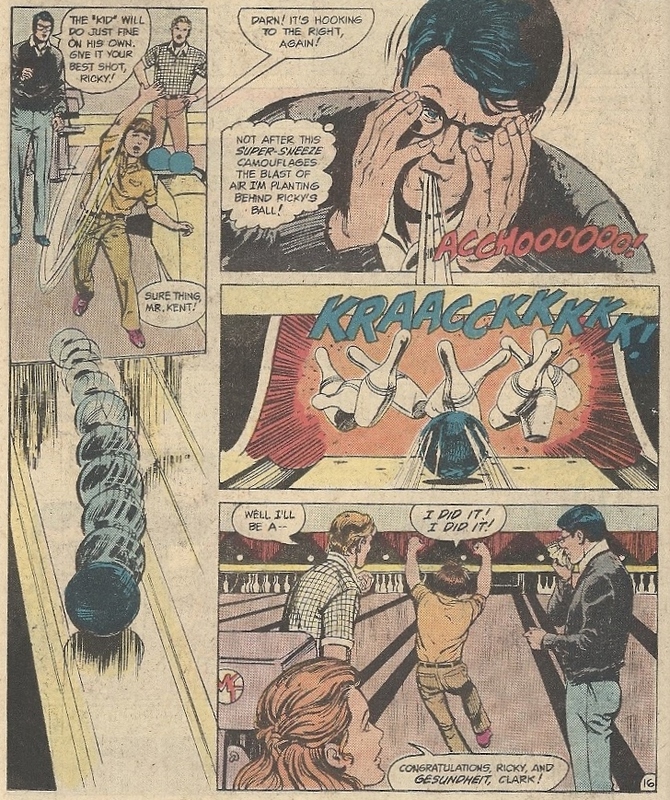 Up today: Superman III: Now With 100% More Pryor!, adapted by Cary Bates, penciled by the late, great Curt Swan, and inked by Sal “No Relation to Lawyerin’ Joe” Amendola. 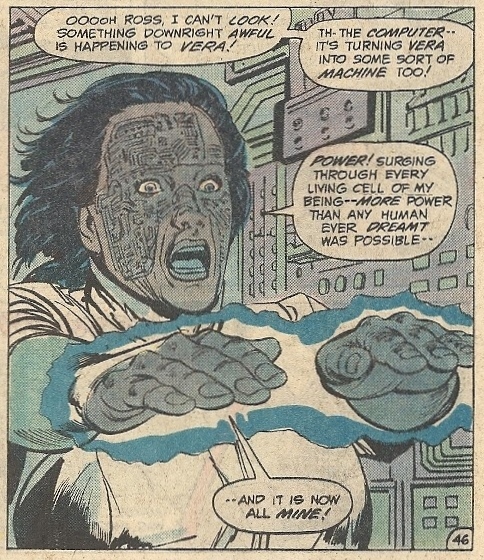 Even Vaughn looks like Vaughn, so I don’t know what the hell happened to Pryor. 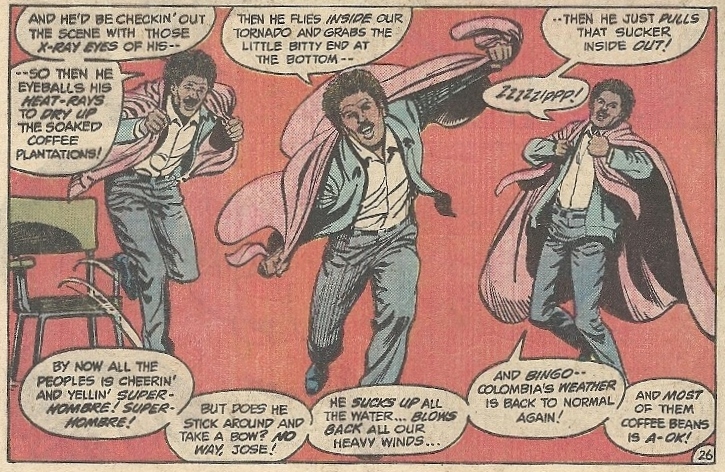 Maybe they didn’t have the rights to reproduce his image in a comic. Maybe Swan had a block when it came to drawing him. Maybe the inks drowned out whatever resemblance there might have been. It’s probably not something we should get hung up on, though. Moving on. Annette O’Toole would become a big part of the live-action Superman world with her long run as Martha Kent on the always underwhelming Smallville, but long before that was a glimmer in WB/CW executives’ eyes, she made for a more than decent Lana. She was pretty, she was nice, she was smart, and she had none of the aggressive edge that Kidder’s Lois had. (A scene of the two meeting at the end of the movie hinted at cat-fights to come. Alas, this never came to pass.) 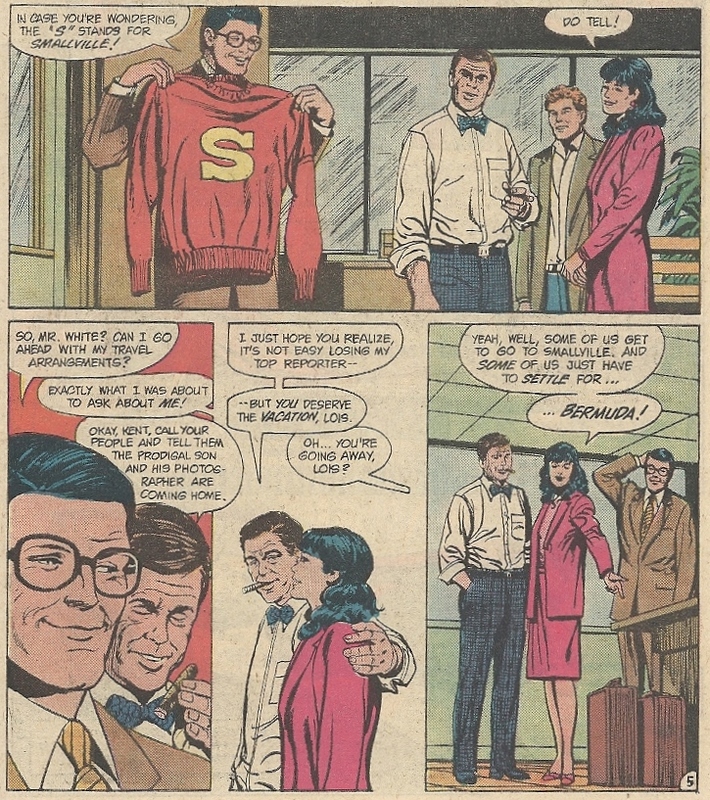 Here she’s divorced and has a son, Clark becomes a father figure to the boy, and when Superman shows up, so does the Man of Steel. My Two Dads, in a weird, schizophrenic way. High school big shot Brad is now a going nowhere security guard, he’s trying to horn in on the eminently MILFy Lana, and his old antagonism with Clark is thus reignited. 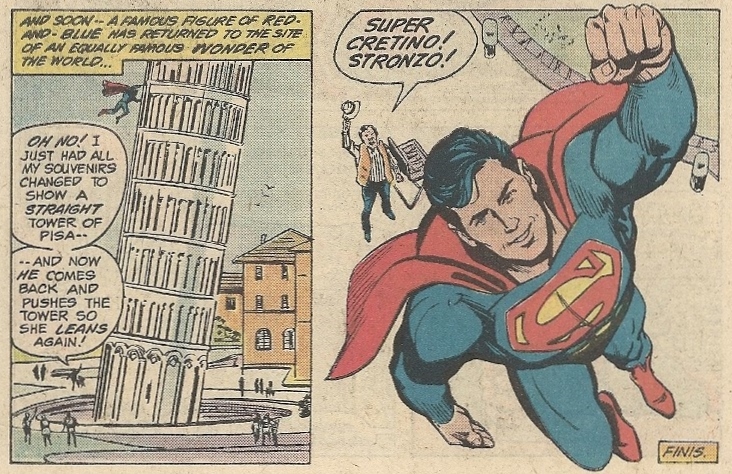 Meanwhile, Gus is doing Webster’s bidding, hijacking a weather satellite to sabotage the Latin American coffee crop (the meteorology and physics of such a deed are, naturally, unexplained), though the plan is thwarted by Superman’s intervention. This impresses Gus, who’s a good guy at heart, and in the movie he lets his exuberance get the best of him in front of his evil boss — never a good idea. That scene takes place on a ski slope improbably placed atop a skyscraper, and at the end Pryor SKIES DOWN THE SIDE OF THE BUILDING. AND SURVIVES. This makes the weather satellite crap suddenly seem tame by comparison. 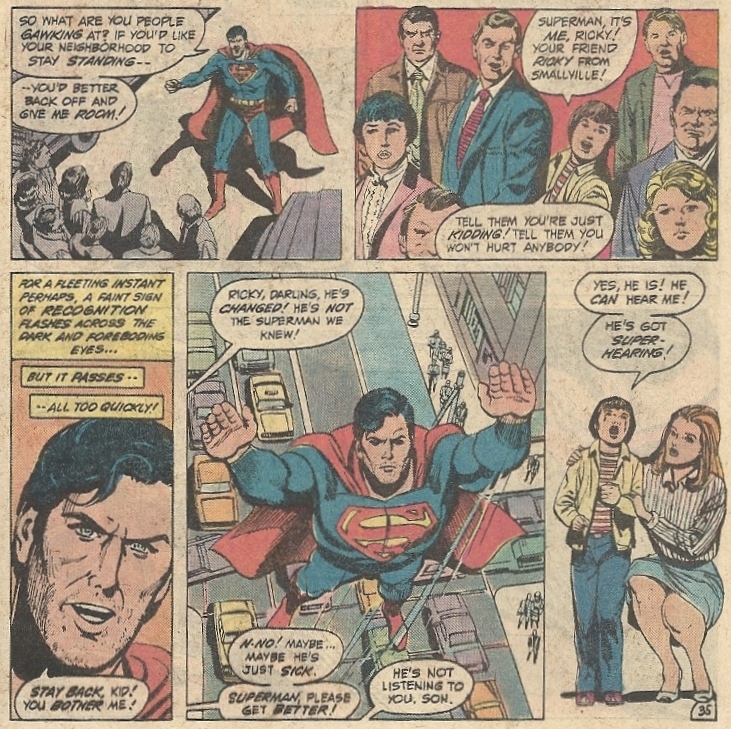 The comic is an oddly truncated summation of the major events of Superman III, leaving out significant bits of the plot (such as it was) and making simple changes that are jarring when you learned something by heart as a kid. It’s even flatter than the movie itself, an all-too common inherent fault with adaptations. The main selling point is seeing Swan work with the Reeve Superman. It’s an interesting mesh of the oh so familiar hero and the actor who brought him so vividly to three-dimensional life. The result doesn’t help you reach nirvana or anything, but it’s a modest match made in heaven. Swan-Reeve has a nice ring to it. And the movie? 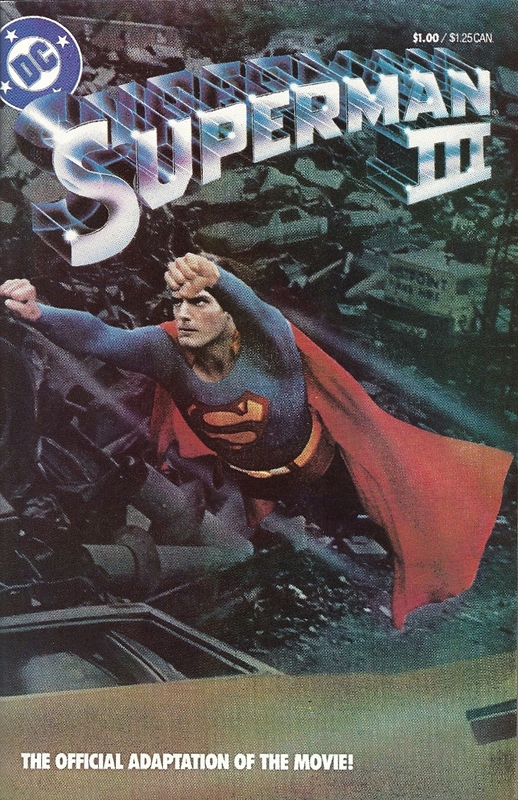 Superman III isn’t very good. It’s far too distracted, far too scatter-brained for that. 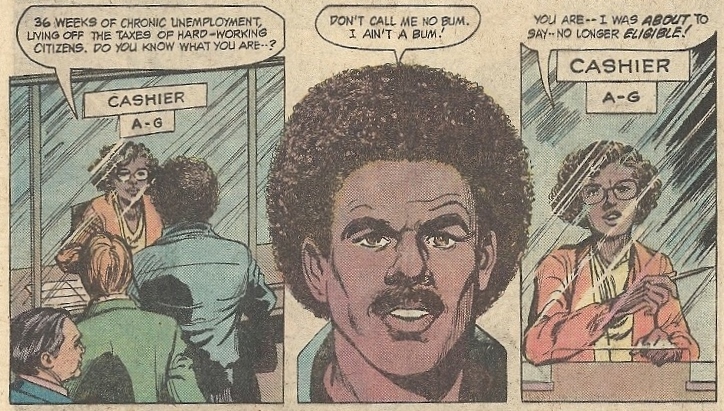 The humor is utterly flaccid, making Pryor, someone on the mythical Mount Rushmore of comedy, a thinly drawn clown. But there’s much to love in III, beyond the outsized goofiness that gives it its train-wreck appeal. 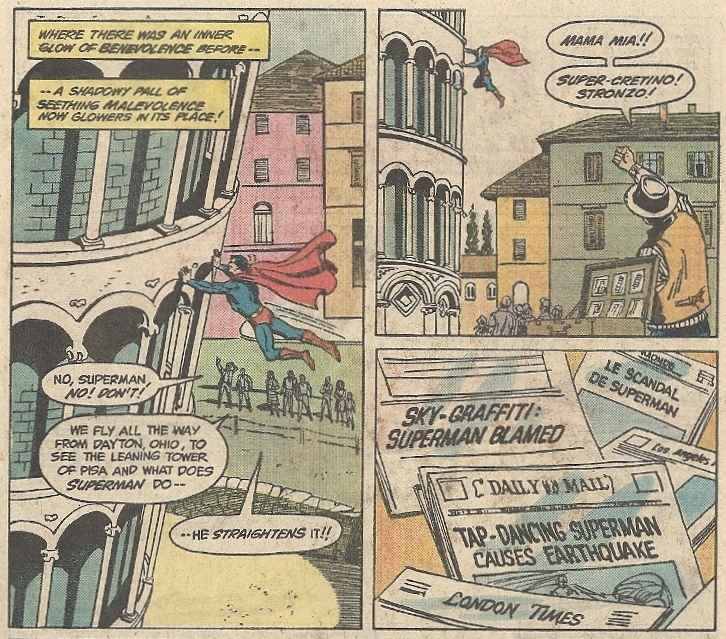 It’s an interesting mediocrity, if there is such a thing, toggling between Superman exorcising his inner demons with trash compactors and tires, and Pryor riding a donkey backwards down into the Grand Canyon. Reeve did a lot of great things in the role of Superman, but his finest on-screen moments may have been as the lustful Kal-El. The scrap-yard scene is a great visualization of a clash between a superhero’s id and ego. And, yes, super-ego. Superman III will therefore always retain a bit of watchability, as an in-parts integral portion of a character-defining oeuvre. Reeve looked the part from the very beginning — oh did he ever look the part — and III helped him fully inhabit it, every nook and cranny. ← Bob Kane wrote(?) the song “Have Faith in Me,” which definitely wasn’t about his veracity with Batman credits, amiright? I think making a good movie about Superman is right next door to impossible. Hell, making a good movie, period, is incredibly complicated. I think the reason why Superman Returns wasn’t a very good film has more to do with the basic plot and writing, than the actors. I feel bad for Brandon Routh, a really nice guy and a fellow Iowan who I think could’ve done something with that role give the right material. 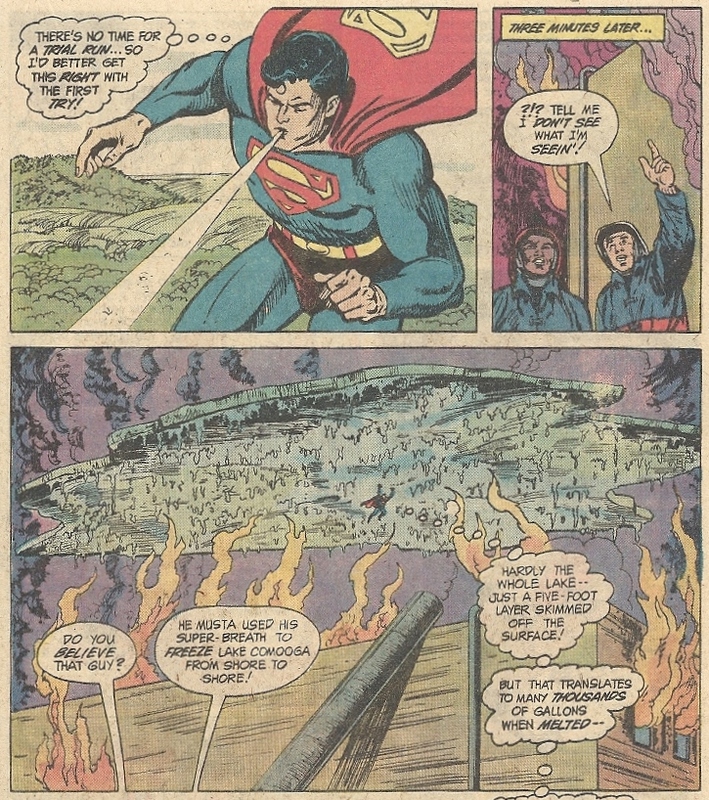 I haven’t seen the latest film, but I hope they keep to the basic idea of Superman, as I understand it…a refugee from a place destroyed by hatred and violence who finds a way to make a new start. I think there’s a metaphor in there somewhere. 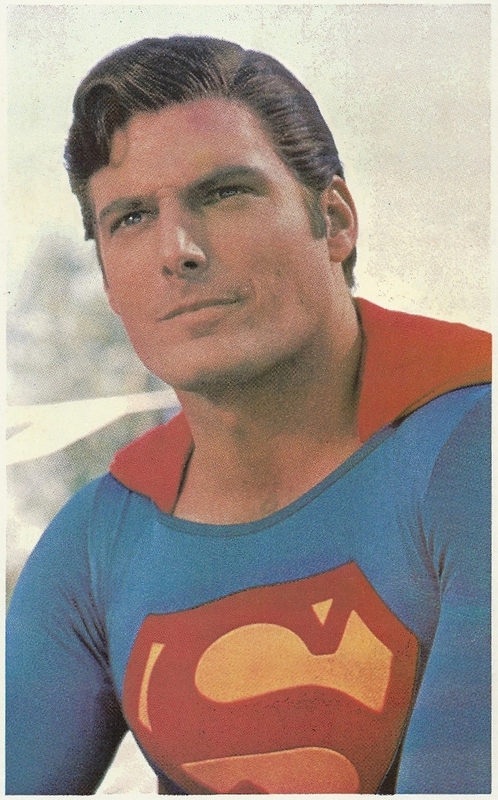 As for Chris Reeves, he’s always going to remembered for more than a couple lousy movies. In my opinion Brandon Routh is as talented as a dummy wearing contact lens. No charisma, no talent at all.